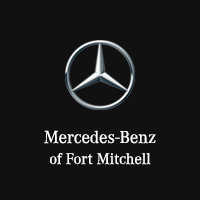 Mercedes-Benz of Fort Mitchell is proud to be a Certified RENNtech® dealership in Kentucky. Over the years, RENNtech has developed high-performance products for virtually all Mercedes-Benz AMG® vehicles (including the commercial Mercedes-Benz Sprinter van and smart vehicles). Some of the most notable among these are the 200 mph RENNtech E7.4RS (which was called fastest sedan in the world by Car and Driver in 1996) and the 2006 “Chrome SL” show car—an SL-based project entirely covered in chrome. Each of these vehicles featured extreme performance, upgraded luxury features, and a fit and finish that rivaled factory vehicles. Performance without compromise. This is the foundation upon which RENNtech has built their reputation. Established in 1989 by Hartmut Feyhl, RENNtech has evolved and grown from humble beginnings into the foremost authority on luxury automobile performance tuning and offers complete tuning solutions for Mercedes-Benz, Porsche, VW, Audi and Bentley vehicles. Historically, RENNtech has been a prominent Mercedes-Benz specialist, and Feyhl himself is regarded by many as the USA’s foremost authority on Mercedes-Benz tuning. His vast experience comes from his 12 years spent at AMG® well before the tuning company became part of Mercedes-Benz in 1999, then going onto serve as that company’s North American technical director prior to branching out on his own to start RENNtech. RENNtech designs, engineers and manufacturers their proprietary line of tuning products in-house at our facility which features a full fabrication and machine shop with CNC and rapid prototype capabilities; an in house performance dyno, complete engine management and software tuning capabilities; a complete service/repair/installation facility and a full time design, engineering and sales staff.